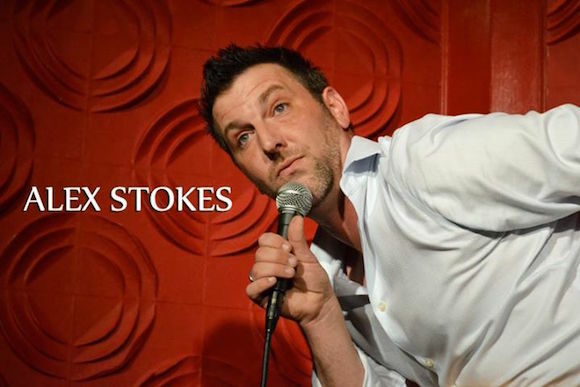 Alex Stokes is a Stand Up Comedian, Author, and Public Speaker from Sevierville, TN. He currently resides in East Tennessee with his wife Jenny and their 4 children. Alex began his Stand Up Career after a 14 year run as an Investment Broker and Banker. His first open mic was at Side Splitters Comedy Club in Knoxville, and he was immediately hooked. During his first year, he won several comedy contests, and also teamed up with fellow comedians Sandy Goddard and Jay Pinkerton to form the M.L.C. Comedians. As part of the M.L.C. Comedians, Alex toured the country twice, first going on a major city tour only to end up at the World Famous Comedy Store in L.A. in 2011 and New York City in 2012. After that second tour, Alex began featuring and headlining different venues around the Southeast. In 2013, Alex released his first book, “Messing With Tourists: Stupid Answers To Stupid Questions.” The book is a collection of real conversations Alex had with tourists in the very popular tourist town of Gatlinburg, TN. The conversations will leave you laughing while shaking your head at humanity. Also, in 2013, Alex continued to perform at Charity events, and was the featured entertainment for the largest black tie charity event in Sevier County. With over 700 in attendance at $200 a plate, it was a huge honor, especially considering Dolly Parton was the Honory Chairperson. 2014 was a MONSTER year for Alex. A tour through the Gulf Coast, Corporate Shows, and Numerous Charity events were only small highlights of a busy year. In between all of that chaos, Alex Featured for Jon Reep at a Theater in front of 1,000+! Book sales were incredible, both online and at shows and private events. 2015 looks to be another interesting and busy year!